Our wireframes are different for every project. Why? Because your requirements are bespoke and we want to create the perfect solution for your business. We do, however, follow a set of best practices to ensure that each website we produce is in-line with customer expectations. Our design team has worked on many projects from new ecommerce ventures to high street retailers. We deliver the perfect mix of creativity and best practice to enable you to achieve your ecommerce goals of increased sales, average order value and customer loyalty. Our creative design process is based on a number of ecommerce web design best practices. We have a decade of experience designing and developing ecommerce websites. This means we understand the fundamentals of what works and where we can push the boundaries to deliver on creativity. Wireframes are absolutely key to developing a successful ecommerce offering. After discussing your requirements, our Business Analysts and UX Design teams work together to create your new user journeys. 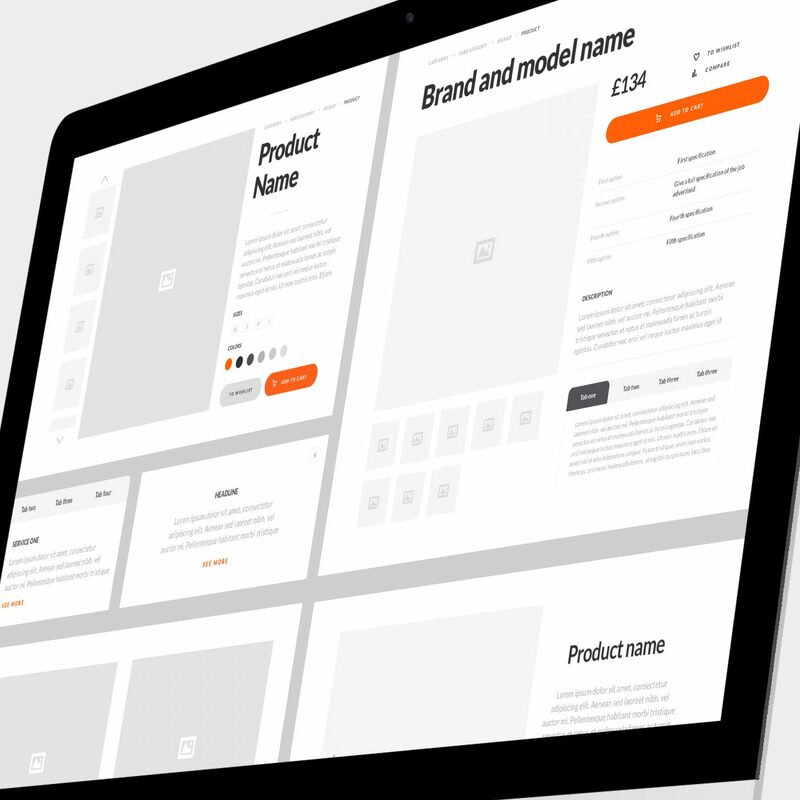 We consider your target audience, website requirements and business goals and use this information to produce a complete set of website wireframes. To really get a feel for your new user journeys your wireframes are hosted on our secure servers and act as your clickable prototypes, for you to share, test and navigate around before we move on to the next stage of design. 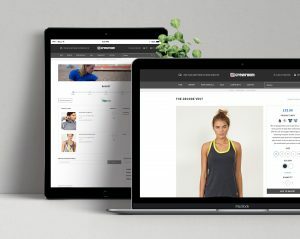 Our decade of experience designing and developing ecommerce websites means we understand the fundamentals of what works, what doesn’t work and where we can push the boundaries to deliver on creativity. We review your branding, target audience and competitors to create the perfect solution in line with your needs. Once designed, we review our concept with your team and complete the rest of your new ecommerce website design. 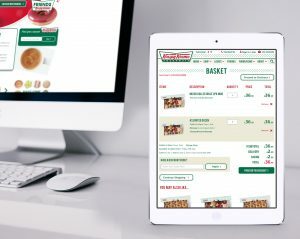 Our design team has worked with many different types of business across many different industries from B2C design for globally-famous food brand, Krispy Kreme to B2B design for elite cycling brand distributor, Saddleback. Each time our goal remains the same – to design an engaging online experience that encourages users to convert. Let’s win web design awards together – get in touch!